In the wild the birds will always have the final say as to how close they will get to me. Best thing for me to do is to find a place and wait, bird are always in control. You have to keep going out to improve your chances getting close. 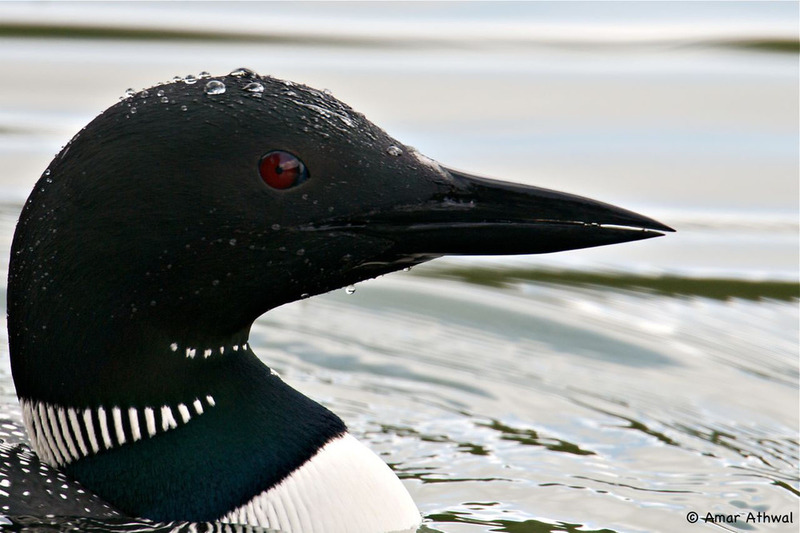 I had already gone several times to the lake to see the Common Loons, they staying far away from me. But one day all that changed, as I saw them go under water and come closer to me each time they came up. I kept taking pictures and hoping they would get even closer. Before I knew it they were too close for me to frame the whole bird, so I started to frame the head of the loons. It's a beautiful bird when calling in the distance, but that beauty only increases when you see the bird close up.